OZ Duct Cleaning services makes use of particular blowers, brushes to do a thorough cleaning of supply, intake and return ducts from your home. It is a process to remove bacteria and other harmful carbon particles from grills, heaters, motors, housing etc..
How Duct Cleaning can helpful? It helps to remove contaminants such as bacteria, fungi, viruses and minute elements of dust from your office or house. If bacteria would increase in number, then it can people would get allergic reactions, thus cleaning is necessary. Clean your ducts with most reliable cleaners. Regular cleaning is required in order to prevent the building of germs, viruses, and other harmful microorganisms. 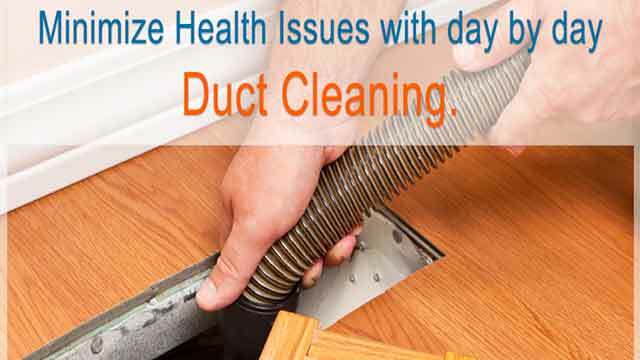 Oz Duct Cleaning Melbourne provide cleaning of carbon particles, dust, pollen, etc. that would result in asthma. For the process of sanitation, we use pleasant smelling & non-toxic sanitize to disinfect all ducts system and keep them fresh and clean. Oz is always upgraded with latest duct cleaning tools and methods. Any unwanted animal nests such as mice, birds, rats etc. We have adopted methods as per different type of houses and our special types of equipment help to provide you the best result. For each duct, we use special tools and hoses for removing debris. With years of experience in Commercial Cleaning Services and Residential equipment, we have developed trust and goodwill in the market. We protect your pieces of equipment while cleaning. Using well-controlled methods we also clean up duct surfaces with utmost care and remove all dust particles. We ensure that your system is alight after the cleaning procedure is concluded. In order to get a better class of your air, opt for OZ Duct cleaning services Melbourne. Dirt-free your system without any confusion.